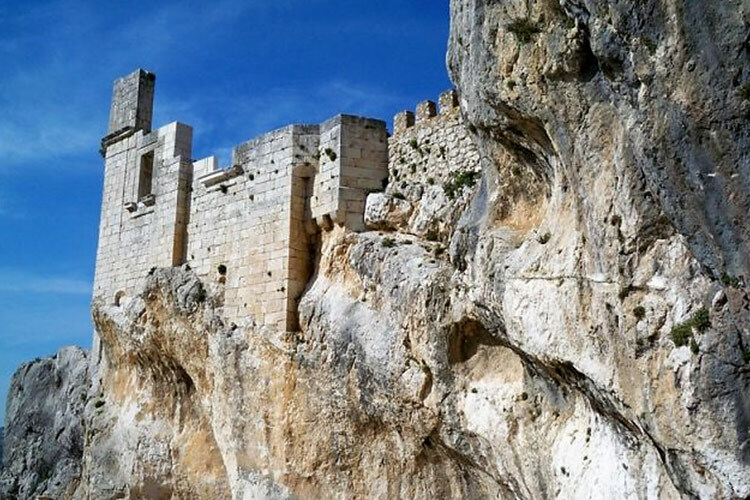 This white washed, typical village is located 450 meter above sea level, built against a steep rock wall, and is surrounded by the enormous lake. The village is crowned by the impressive 8th century fortress and the 16th century parochial church of Santiago Apóstol, a fine example of the Córdobese Renaissance architecture, which at night are illuminated, creating a fairy-tale atmosphere. You can either walk up, or drive along the narrow streets, offering beautiful views of the houses and the landscape around them. Postcard perfect patios, filled with flower pots, which are the meeting point for elderly ladies dressed in the traditional black, to exchange local gossip. The Museo de Aperos, exhibiting old farm equipment, is worth a visit. Is a cosmopolitan city, which combines the beach amenities, a busy international port and a historical centre. 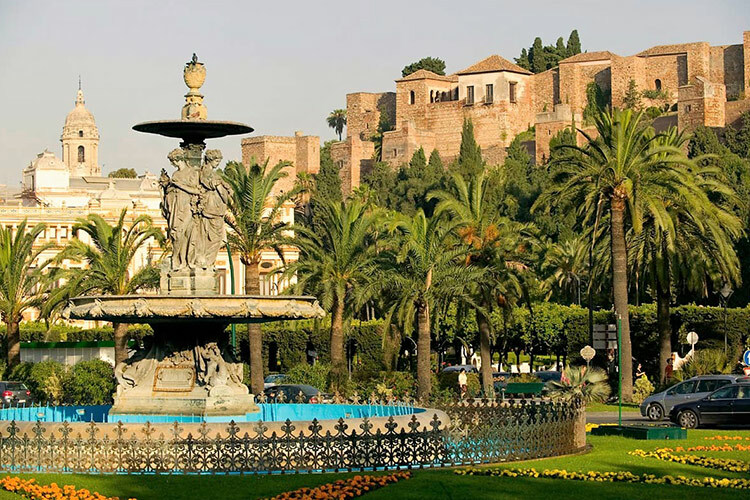 There is always more than enough to do: strolling along the Paseo del Parque boulevard, shopping at the pedestrian commercial streets, sunbathing on the beach, having tapas in the old part of town, visiting the Alcazaba (a renovated fortress from the Moorish period) or the Picasso Museum. This precious city has many highlights to offer. 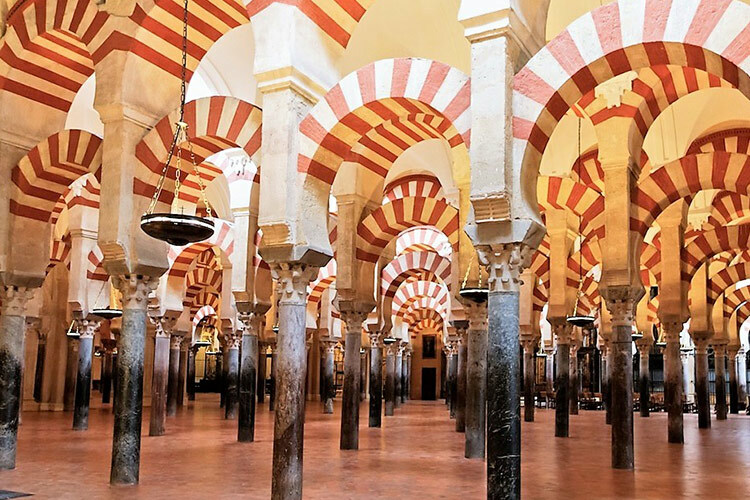 The main attraction is the Mezquita, a big Mosque, famous for its “forest” of over a thousand columns, with a unique red and white striped design, and the central Christian cathedral. The Mezquita has been recognised by UNESCO as Patrimony of the Humanity. 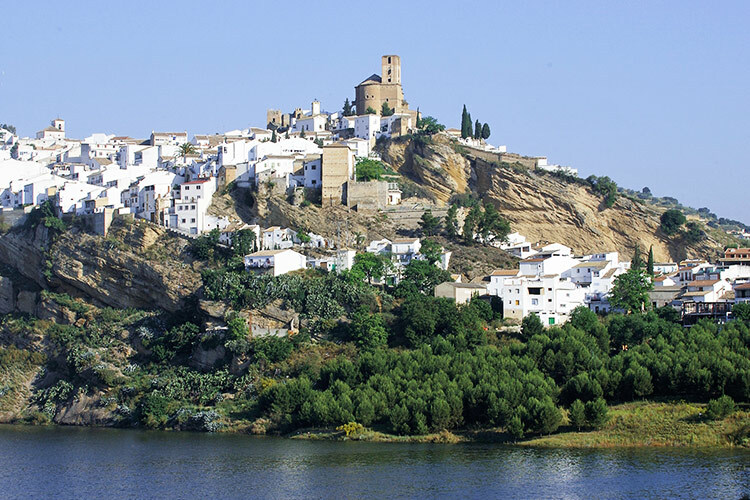 Behind it, you will find the “judería” (Jewish Quarter) of Córdoba that leads you to several other areas of the city, all with narrow winding streets, charming squares and cosy taverns. Have a taste of the rich history of this Andalusian city. Travelling from Casa Rural El Olivar to Granada you will have a magnificent view on the snowy tops of the Sierra Nevada mountain range. Granada is a beautiful city. The welcoming old part of town is a labyrinth of alleys and steep stairs, with a puzzle formed by stately homes and palaces, decorated with flowers. 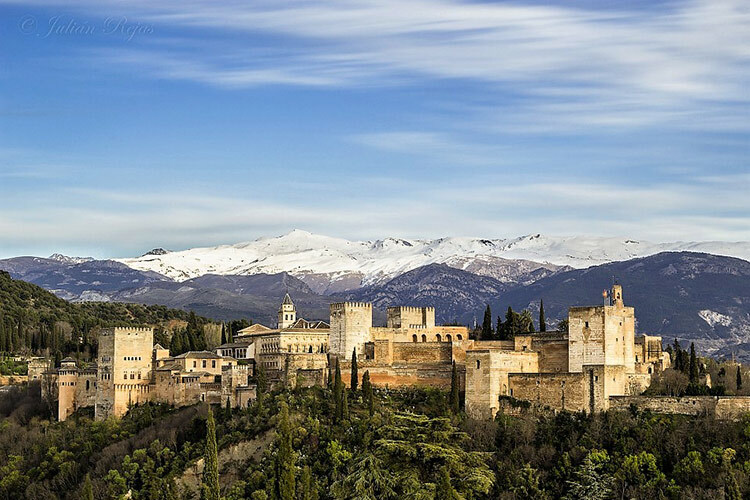 Of course, the main attraction of Granada is the Alhambra, a gigantic Arabic city within the city, with palaces, gardens, fountains… It is breath-taking! Only 7700 tickets are sold per day, so it is advisable to book in advance. Is well-known for its anisette. There even is an Anisette Museum in town. Another attraction of this small city is the Donkey Relief Centre. A pretty village, located at a ravine, built against the rocks, with a Moorish fortress at the top. Walking and cycling routes are marked throughout the town. Outside the village, it is worth your while to visit the Cueva de los Murciélagos, a cave with bats and beautiful stalactites, plus remarkable Neolithic rock paintings. Is a lively market town, with an antique bullring. Visit the prehistorically dolmen-caves. Golfers will find a tranquil, beautiful golf course. 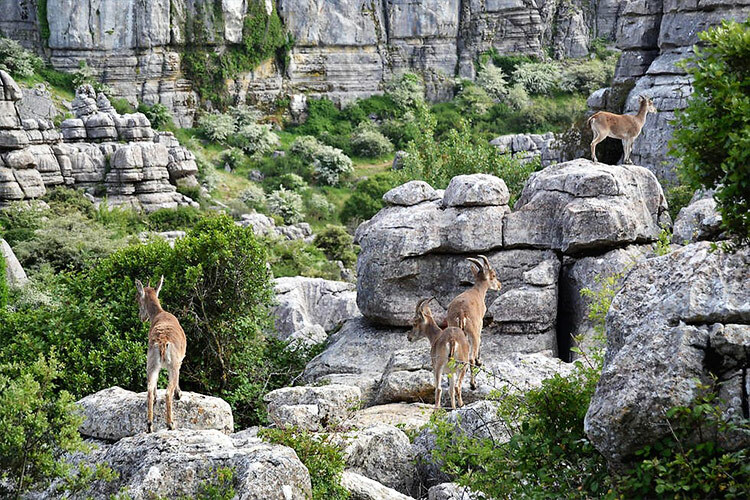 Those who enjoy nature should not miss the Natural Park Parque Natural El Torcal. These mountains hold stunning calcarean rock formations. Several walking routes have been marked in the area. Another highlight is Fuente de Piedra, a lagoon where an extensive colony of flamingos breeds every year. The Visitor’s Centre will provide you with more information about the local flora and fauna, plus the routes marked in the park. Is the cradle for bullfighting. His Plaza de Toros was built in 1785, and is the oldest bullring of Spain. 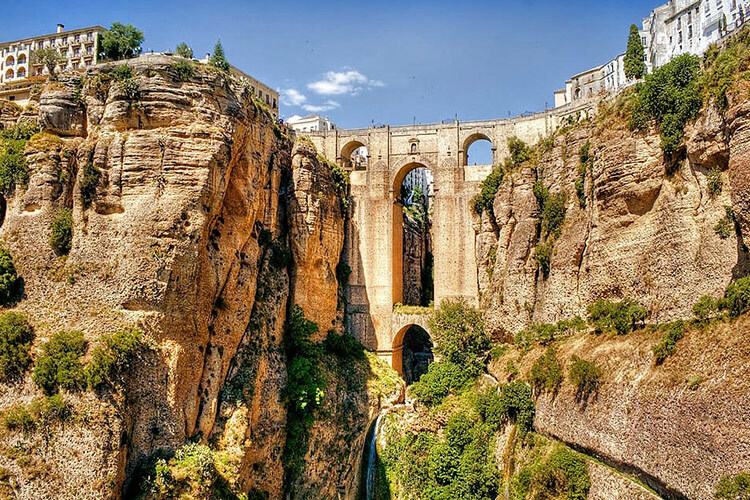 Also typical for this town is the Puente Nuevo, an 18th century Stonebridge build across the Taja crevice and the attachment between the old and new town.